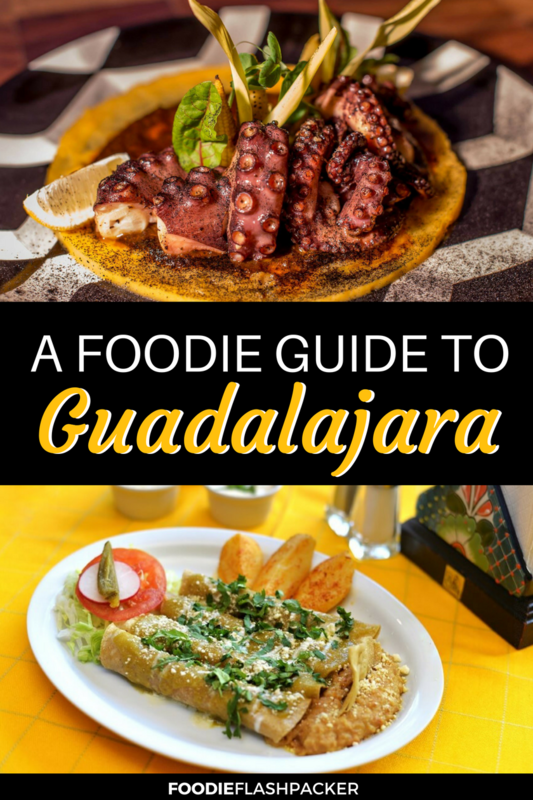 Guadalajara’s food scene blew me away! Guadalajara restaurants served some of the best food I’ve had since I moved to Mexico. I was seriously impressed with nearly every place I tried during my visit. From street food to fine dining — all of it was as good or better than many of the Mexico City restaurants I sampled. However, I must say that at many of the Guadalajara restaurants where I dined (not all, but many), the food was consistently better than the service. Even at several of the higher end places I visited, I found the service to be a bit of a let down. In fact, I found the best service at more local establishments. While I’d love to chalk this up to a fluke or an off night, it became a bit of a theme during my time in Guadalajara. So, my verdict — go for the food, but don’t take it personally if you find the service leaves something to be desired. We ate at Alcalde for a friend’s birthday dinner and were very pleased with our choice. This fine dining restaurant felt buzzy, trendy even. 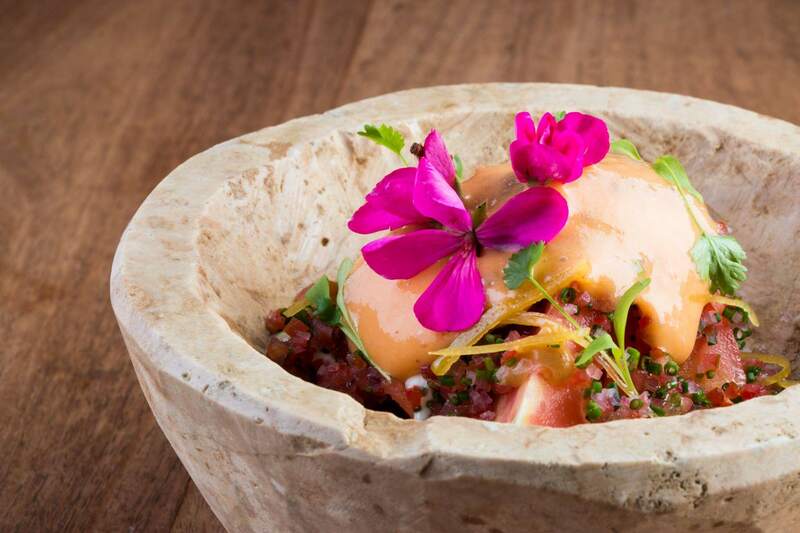 The menu is full of what I would call modern Mexican — elevated and updated classic dishes. 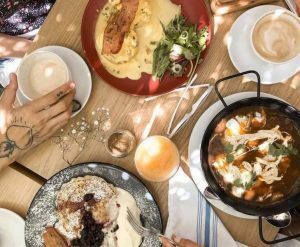 We stumbled upon Cafe PalReal by accident one brunch. And I am so glad we did. They serve one of the best breakfasts we tried in Guadalajara. Be sure to try their red chorizo chilaquiles, huevos rancheros. I’d also recommend their famous pancita lonches — a sandwich that pays tribute to tortas ahogadas (or drowned sandwiches) a local specialty among Guadalajara restaurants. Shot to fame after a recent Vice article feature, Pig’s Pearls is almost everyone’s go to place for burgers in Guadalajara. With a plethora of delicious and unique combinations. 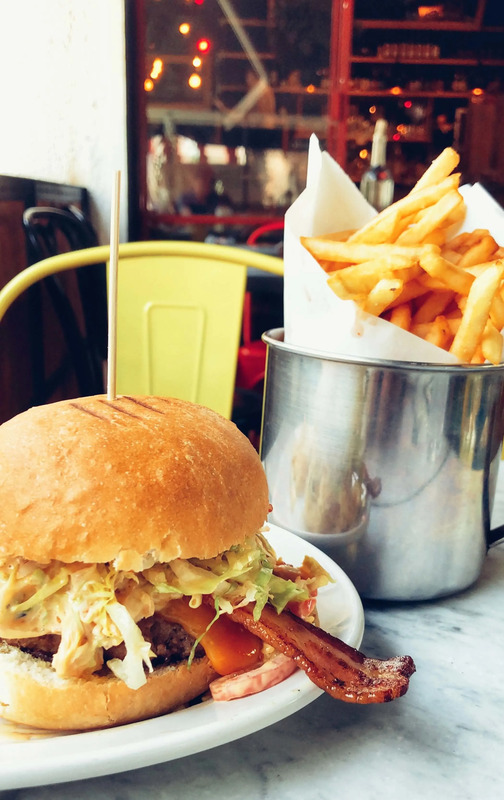 I’d recommend the bacon pesto burger with caramelized onion or the maple burger with bacon wrapped sirloin or pork, melted cheddar cheese, caramelized onions and a generous drizzle of maple syrup. 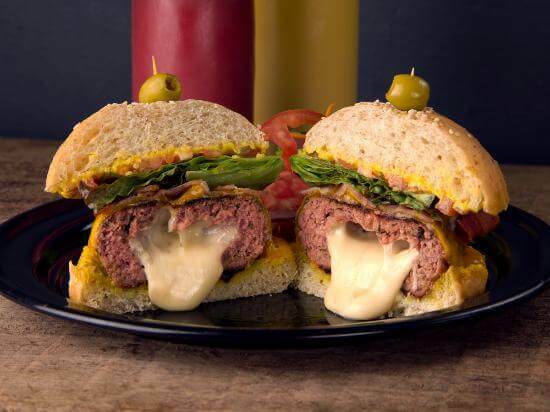 Cheese lovers should check out the double queso burger, which is not only topped with cheese, but also stuffed with it. Pig’s Pearl’s has several vegetarian options (I hear the Portobello burger is the best veggie burger in town). 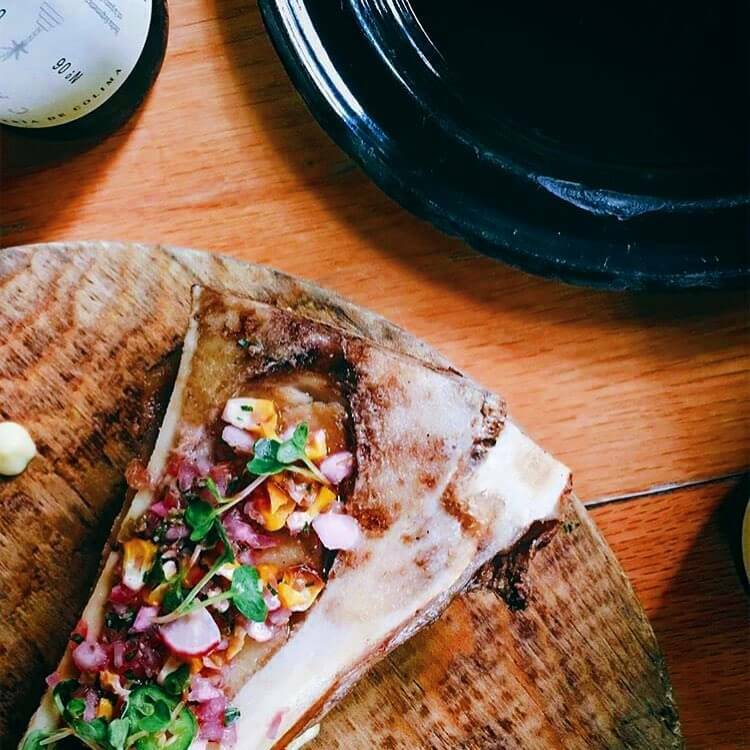 If you’re not in the mood for a burger, they also have salads and appetizers like this roasted bone marrow dish. 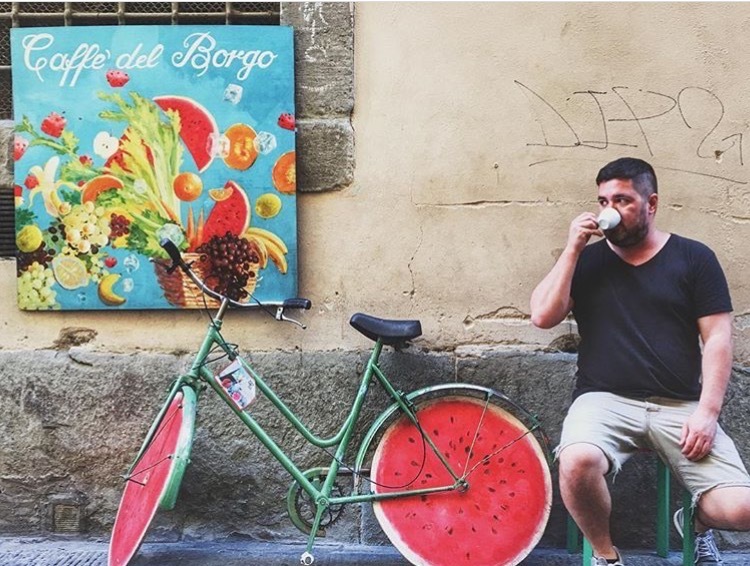 Quite possibly our favorite breakfast spot of all the Guadalajara restaurants we tried, Boulangerie Central is famed for their bakery. They created an entire menu focusing on their freshly baked breads and croissants. 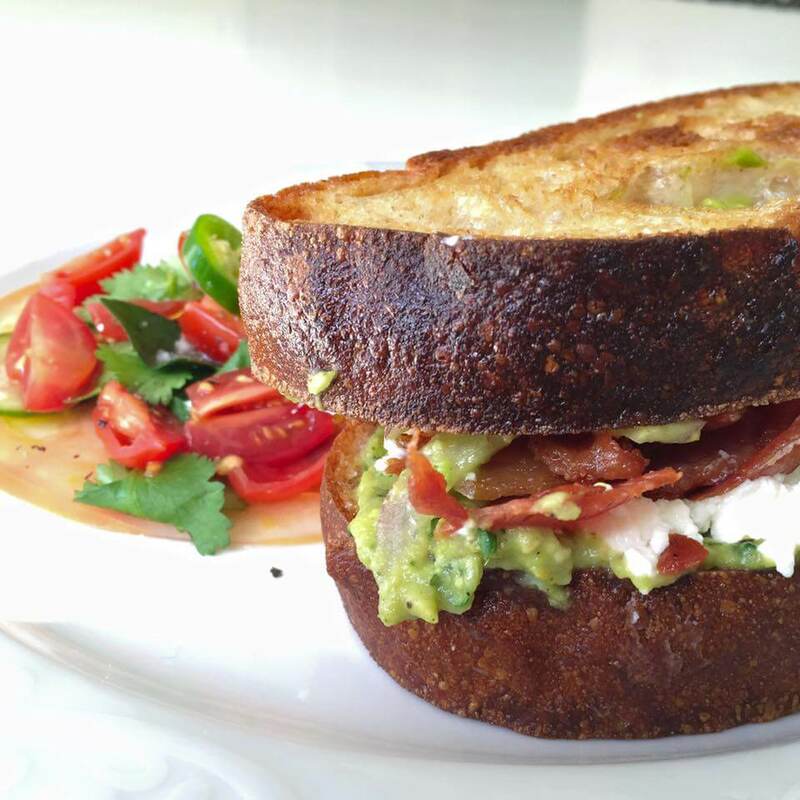 You would think the star of this breakfast sandwich would be the bacon or avocado filling, but it’s not. It’s actually the crusty brioche bread baked in house daily. 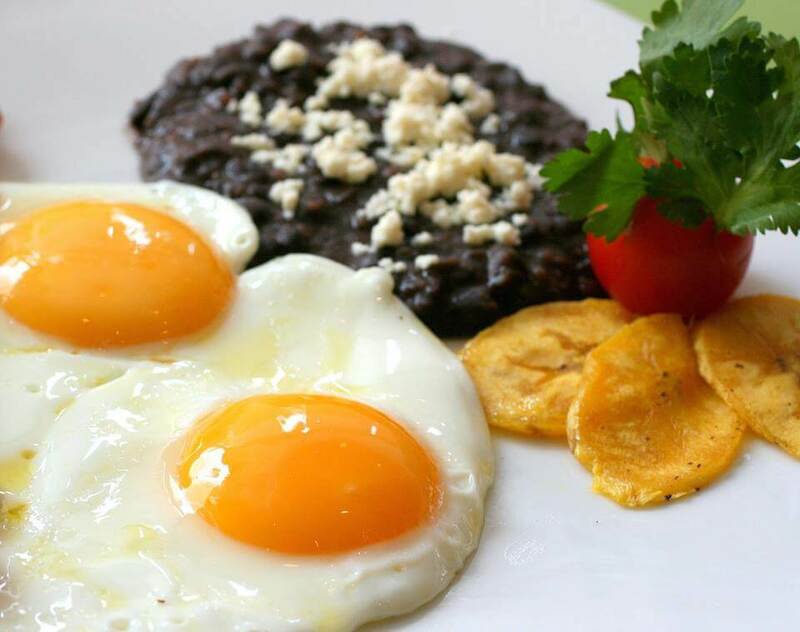 If you’re not in the mood for bakery items, they also offer more traditional breakfasts like their beans and eggs. 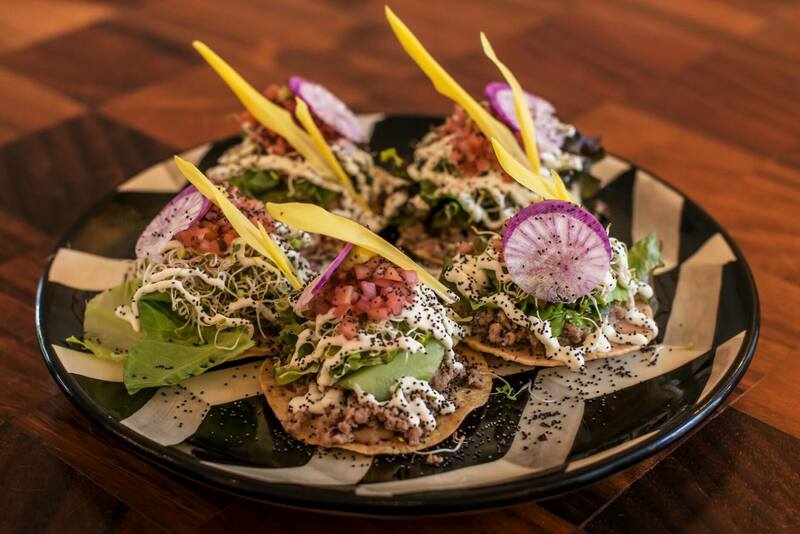 Another great fine dining option on the Guadalajara restaurant scene, Bruna was the first place recommended to us by several long-term expats living in the area. Everyone in our small group (three couples) loved each of their dishes. Bruna also makes excellent cocktails, so be sure to start your dinner with a drink suggestion from the staff. 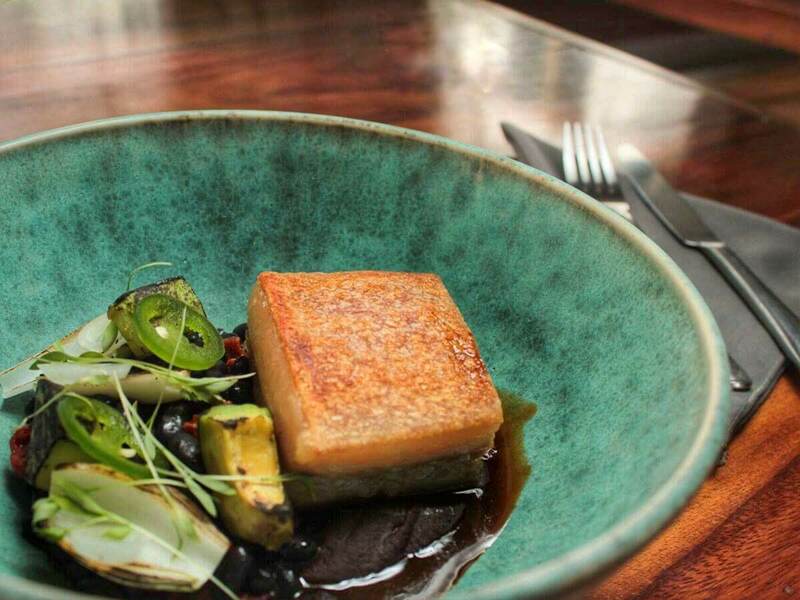 Allium is so dedicated to ensuring they use nothing but local ingredients that they operate their own rooftop urban garden. With this attention, it’s no wonder this place is the highest rated Guadalajara restaurant on Tripadvisor. 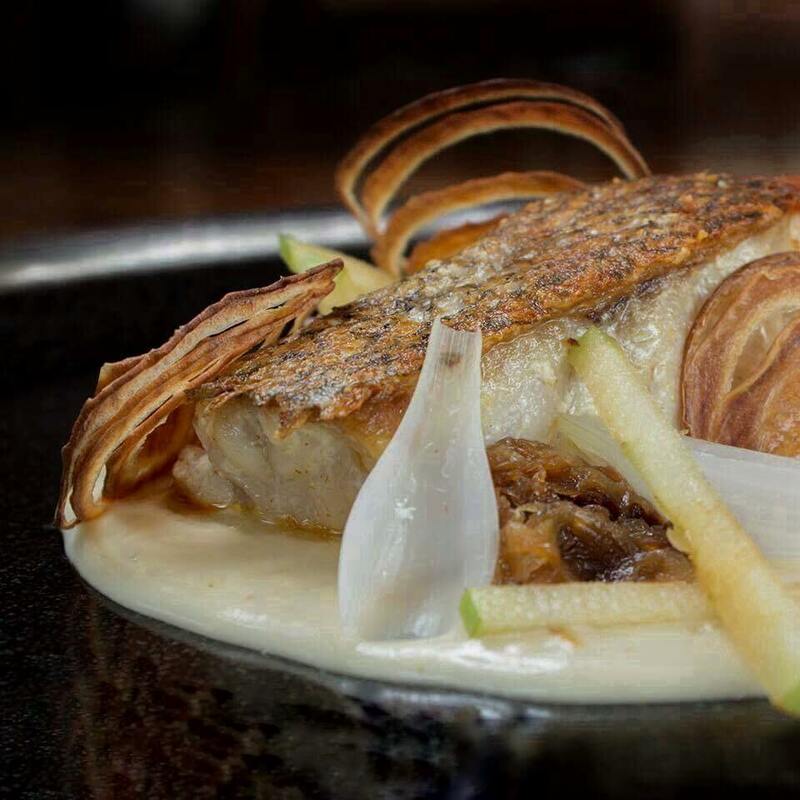 Allium focuses on freshly caught seafood prepared in a variety of ways. My favorite is the crusty pan-fried white snapper I tried for lunch. 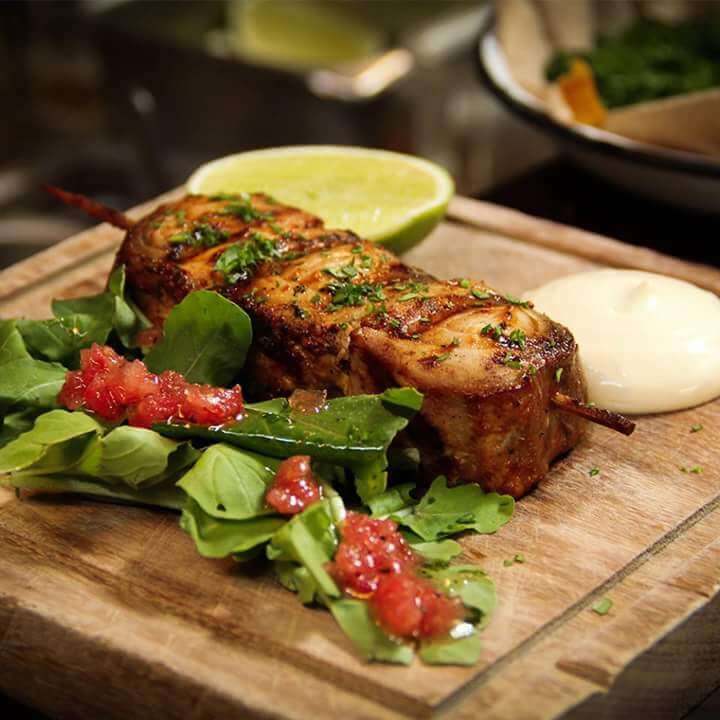 If you’re not in the mood for the seafood, they also offer lamb and pork dishes. While most of you know I rarely suggest chains, La Chata came highly recommended by several locals, so we gave it a try. When we found a line of locals at 11am on a weekday, I knew the food was going to be good. The dishes are simple, not pretentious at all, but high-quality, authentic, and local with very generous portions. And don’t be intimidated by ever-present line out front. The service here is quick and efficient, and the line tends to move quickly. This is also one of the best places in town to try the local coffee, café de olla, which is prepared in an earthenware container. My coffee obsessed friend had La Chata’s coffee several times during our visit and couldn’t find a better version at any other Guadalajara restaurant or even high-end coffee shop. We intended to drive past this place on the way to brunch, but after smelling what they were cooking, we abruptly stopped the car and changed our plans. This place has one item on their menu: barbacoa (slow cooked meat), which they serve several different ways. We opted for the tacos durado — tacos stuffed with barbacoa and then deep fried. Definitely not heart healthy, but incredibly delicious. You can also order their barbacoa in a soup or soft tacos. In hindsight, I think I would have preferred these options, as they wouldn’t have been as heavy. In any case, the fried tacos seemed like they’d be a great hangover cure. 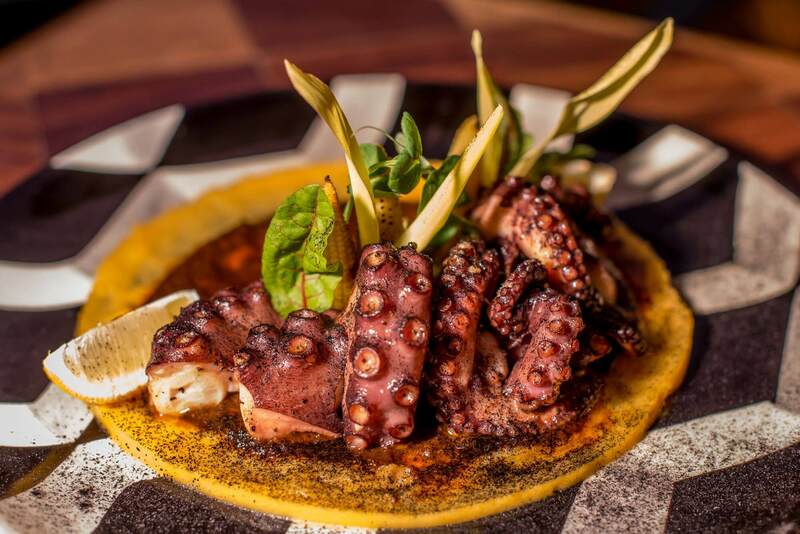 Another Guadalajara restaurant with a heavy focus on seafood, La Docena had one of our favorite atmospheres. Even near closing time on Sunday nights, this place was still lively. We loved the grilled octopus, fried baby squid and grilled fish skewers. 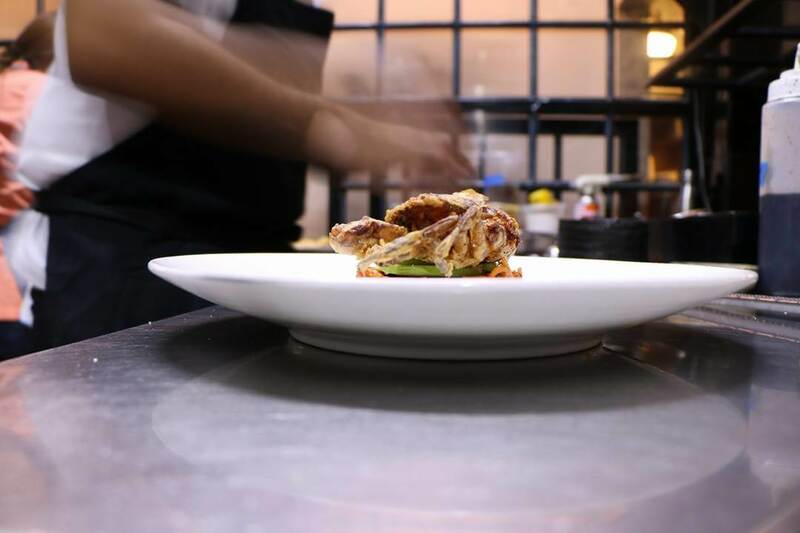 If you’re not craving seafood, the burgers and grilled sweetbreads that passed our table also looked phenomenal. Piggy Back was another great breakfast place we stumbled upon. The sunny patio was filled with music, and friendly servers made rounds between tables, presenting one gorgeous brunch plate after another. The favorite dish of the day was my friend’s stack of fluffy pancakes drizzled with honey and topped with sliced strawberries. 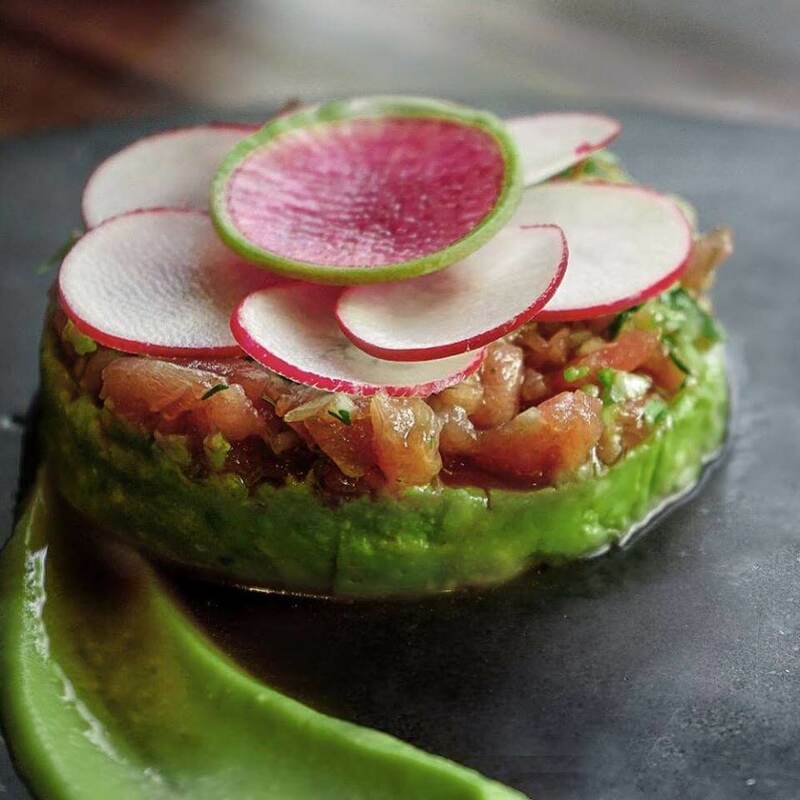 One of my favorite high-end dining experiences of the Guadalajara restaurant scene, Nativo Taller serves Mexican traditional cuisine elevated to a higher standard in a gorgeous contemporary setting. 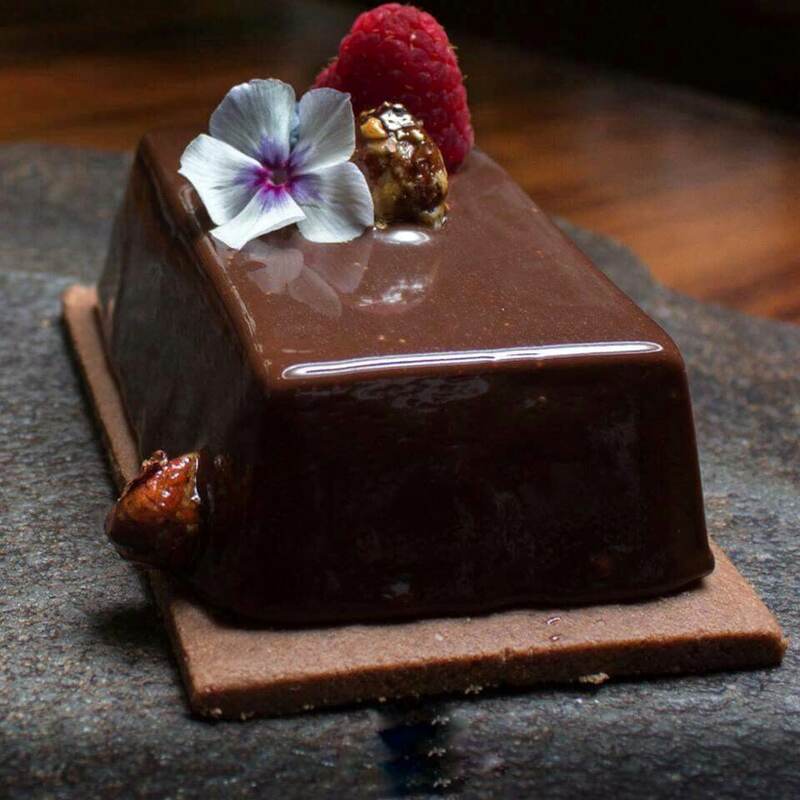 Their attention to detail was incredible, and they also had the best service of any of the upscale Guadalajara restaurants I tried. 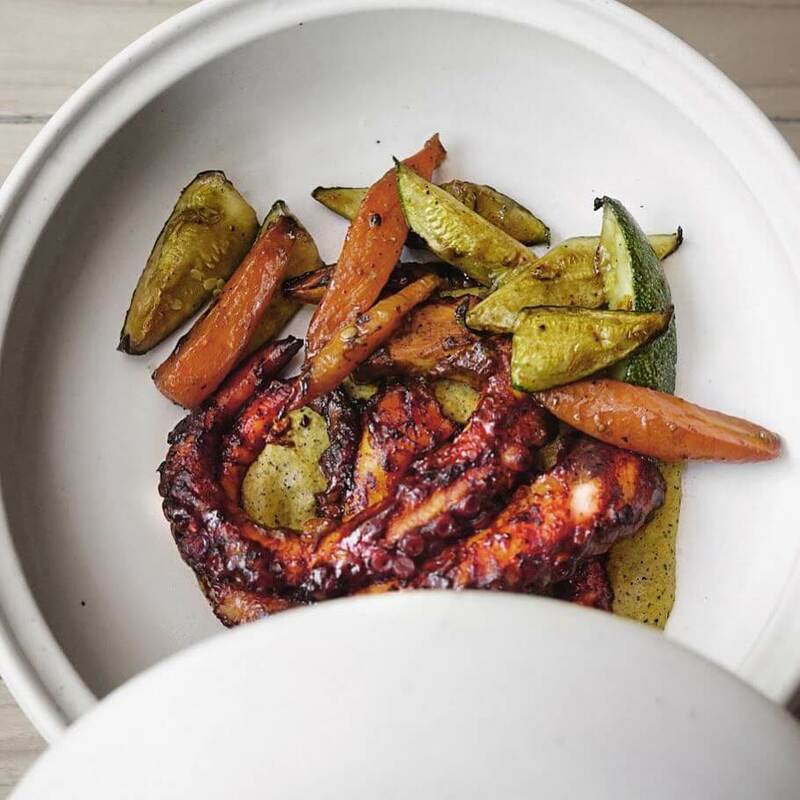 and the perfectly tender grilled octopus dish presented table side beneath a smoke-filled dome. 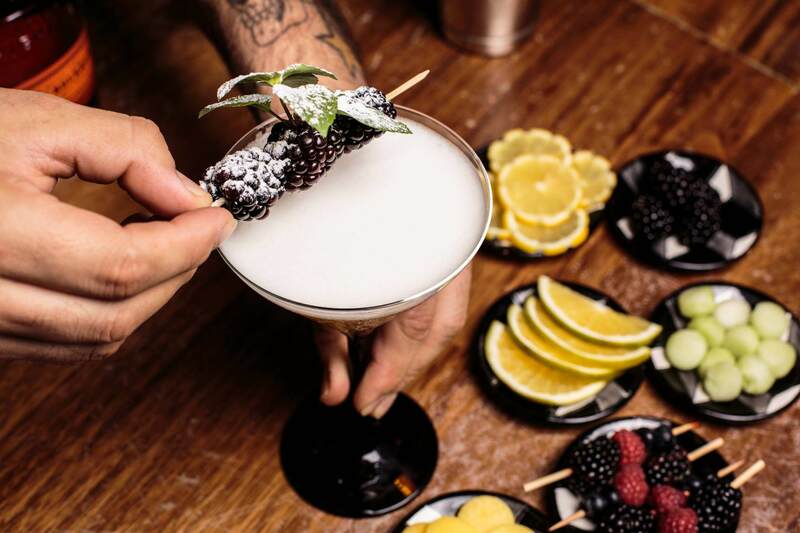 Nativo Taller dedicates as much focus to their bar menu as their dinner menu. The waiters made smart pairing suggestions without trying to suggest the most expensive options on the menu. 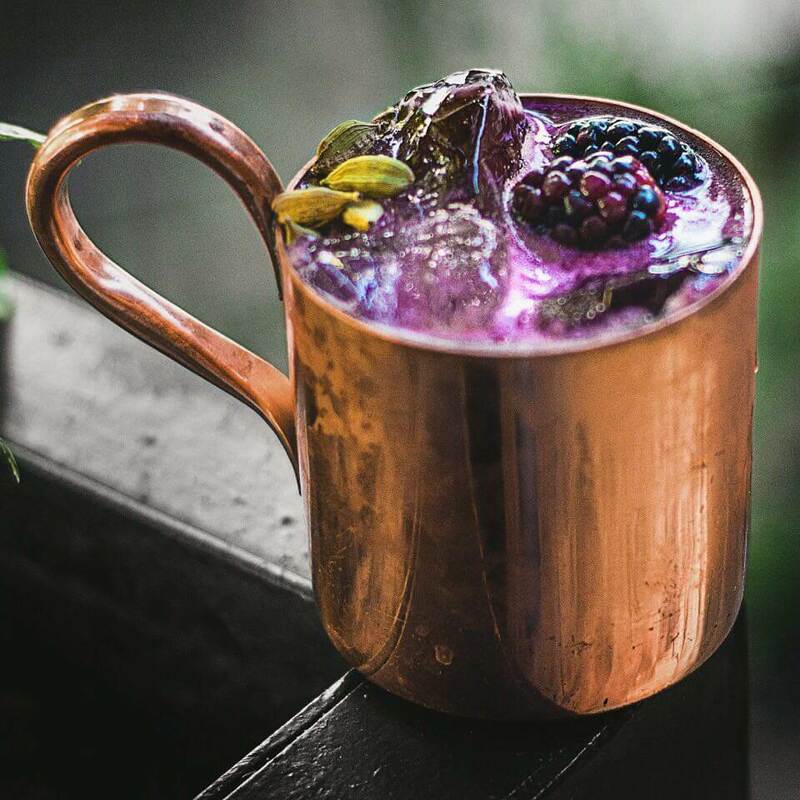 Be sure to start your meal with one of their specialty cocktails. One afternoon, as I aimlessly explored the town on foot, I found an outdoor food cart with a decent line of locals queuing up. Each diner looked quite pleased as they ate on the flimsy plastic tables that lined the sidewalk. I knew I was in for a treat. Taco Fish La Paz sells seafood tacos filled to the brim with options such as fish, shrimp, and octopus prepared several different ways. 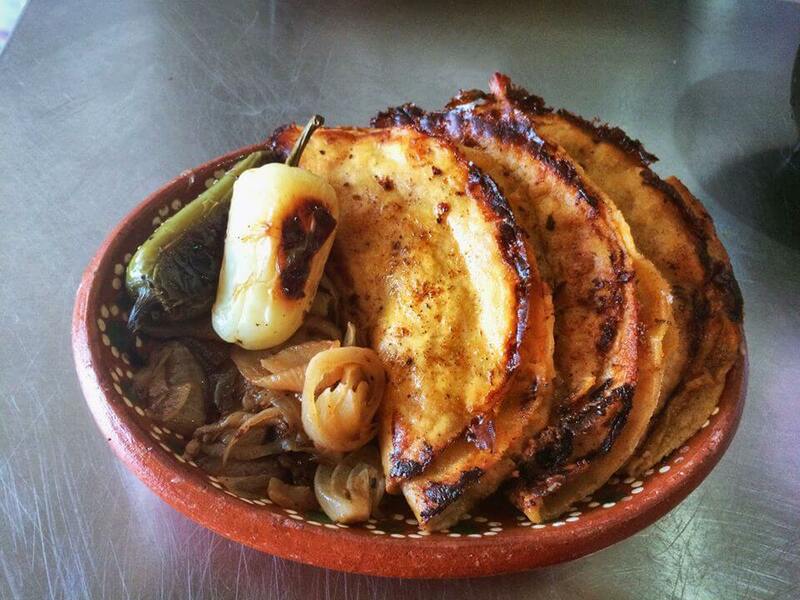 You can find this fare at several locations throughout Guadalajara. 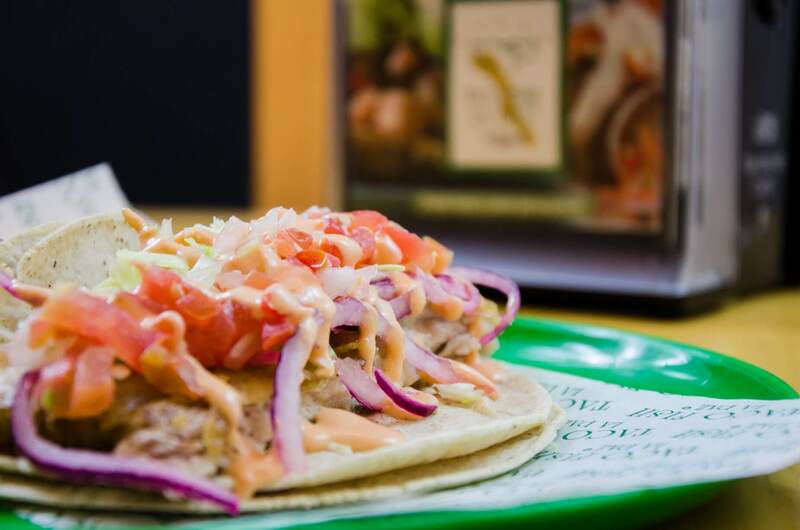 You’ll work your way through the line, and then get to carry your selection to a huge topping bar filled with salsas and vegetables. My favorite was their lightly battered fried fish tacos topped with spicy green salsa, pickled onions and coleslaw. While I’m a bit hesitant to include a second burger place, Gaspar definitely gives Pig’s Pearls a run for its money. A local recommended the place to me and insisted it was superior to the reigning champion. After eating here, I have to agree, Gaspar is at least as good, if not better. My bacon burger was made of ground ribeye, crunchy bacon and caramelized onions that were sweet but still had texture. Was it better than Pig’s Pearls? I’d recommend you try both and weigh in. 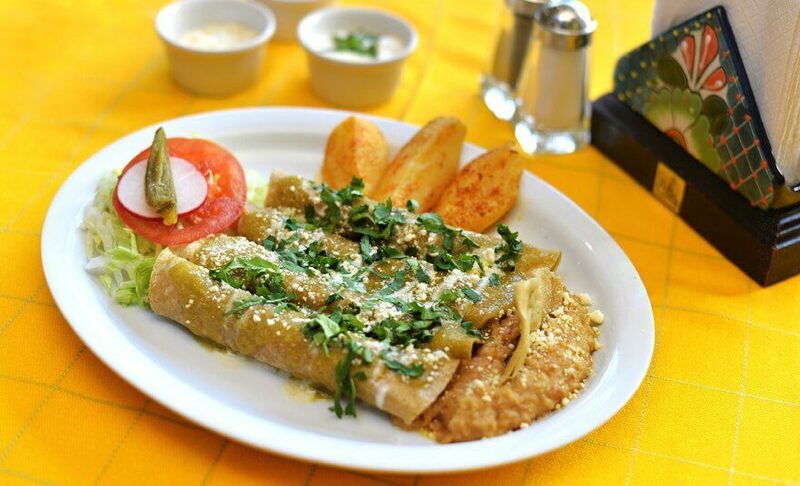 Which of these Guadalajara restaurants do you most want to try? Let me know in the comments section below! Great selection of restaurants. Cant wait to try them out in January 2019. Thanks! You’re welcome! I hope you enjoy them as much as I did. If you remember to let me know what you thought of them after your visit I’m always happy to hear feedback. Also, are you going to do the tequila train? We are going in April and can’t wait to try some of these restaurants. Also, if you have a recommendation re visiting Tequila…should we go on a train? Awesome review and very detailed Love it! Will be there this coming week! Can’t wait to try the birria and café de la olla my favorite Thanks! Thank you! I hope you enjoy it. Will you do the tequila train? If made correctly it taste just like the food I had there.